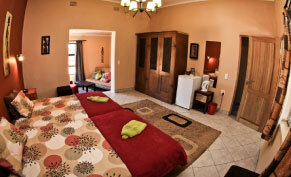 We have three beautiful generously spacious double rooms en suite; that are all equipped with an extra sleeper couch that is big enough for 2 children or 1 adult, every room also has a mini bar, coffee station, air-condition and a safe. The swimming pool is a welcome refreshment after a hot day. Master Hunting Guide Stefan who is passionate about hunting and nature, will take you along for an adventure thru the Namibian savanna. 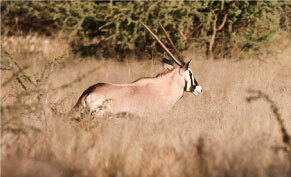 One of Stefan’s greatest trades is patience, so whenever you are ready, he will guide you to your hunting success. . 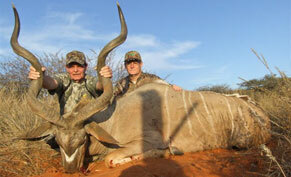 I made two great trips to hunt in Africa (Namibia) with Stefan. I enjoyed the facilities, the outstanding management of my hunts, the professionalism exhibited by Mr. Goldbeck and his staff.